As you may or may not know, Governor Rick Perry has vetoed the funding for the Public Integrity Unit, the group charged with enforcing ethics standards for public officials, as well as insurance fraud and motor vehicle tax fraud. This veto could not have come at a more questionable time. On the back of other ethics veto’s, Perry has brought to light his true feelings about the ethics laws in Texas. To read more about this veto and Perry’s conflict of interest, read our op-ed that has run in the Houston Chronicle as well as the Burnt Orange Report. Texas’ governor is at it again. Just 15 minutes ago, dozen’s of bills went down in flames under the governor’s veto pen. This included a bill essential to providing more efficient enforcement of ethics violations in the Texas political process: the Ethics Commission sunset bill (SB 219), which passed by 97 percent in the House and 94 percent in the Senate. Why veto such an overwhelmingly popular bill? It is because of a provision in the bill that would require members of the Railroad Commission to step down if they announce their candidacy for another office. This again demonstrates that the governor is more interested in protecting powerful politicians than protecting Texas residents. Members of the Railroad Commission frequently seek higher office. Recently, two commissioners ran against each other for the same U.S. Senate seat. The commissioners, who serve more like judges than elected state officials, oversee complex oil and gas cases that require familiarity with the law and impartiality. When commissioners use their position as a springboard to run for another office, they often go absent from the commission, and the demands of campaigning reduce their ability to do their job. This portion of the legislation could have been used as a model for how to adequately reform the Railroad Commission, but instead the governor shot it down. It is worth noting that 81-93 percent of the total campaign donations to the commissioners come from the oil and gas industry, which is overseen by the Railroad Commission. Perhaps that’s why in 2012, despite handling 82 contested cases, the commission didn’t deny a permit to an oil and gas company even once. Clearly, the industry doesn’t want to risk losing members of the Railroad Commission who have been carefully cultivated. It is a bad sign for democracy when a single person can veto the will of almost an entire legislature, and when a sunset bill for an entire state agency is sunk because of just one provision that would inconvenience the oil and gas industry. Click here to see other bills vetoed by the governor and his justification for some of them. On Friday, Governor Perry announced he is appointing Toby Baker, a former policy and budget advisor to Perry on energy, natural resources and agriculture, to replace Garcia who continues to serve in a TCEQ commissioner’s spot that officially expired in August 31, 2011. Mr. Baker’s term will begin April 16 and will expire Aug. 31, 2017. At the governor’s office, Baker has also served as a liaison between the office and Texas Legislature, Railroad Commission, TCEQ, Texas Parks and Wildlife Department, Texas Department of Agriculture and the Texas Animal Health Commission. Formerly, he also worked as a natural resources policy advisor to Sen. Craig Estes (R-Wichita Falls) and is a former director and clerk of the Texas Senate Subcommittee on Agriculture, Rural Affairs and Coastal Resources. A new Texans for Public Justice report finds that most of Governor Rick Perry’s Texas Enterprise Fund (TEF) projects failed to deliver on their 2010 job promises. The study analyzes compliance reports filed by 65 companies that received $350 million to create Texas jobs in 2010. A summary that Governor Perry’s office published in August suggests that $440 million in taxpayer TEF grants have created 59,600 Texas jobs. 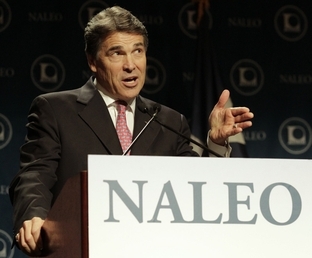 Perry claimed in an October presidential debate that TEF has produced 54,600 jobs. Putting aside five TEF projects that make fraudulent job claims and a sixth project that appears to be undergoing an audit, TPJ found evidence that TEF had created 22,349 jobs by the end of 2010. That number amounts to 37 percent of the job claims made by the Governor’s Office. One project claimed “new” jobs that had hiring dates predating its TEC contract. Click here to read the full report, Con Job: Most Enterprise Fund Grantees Failed to Deliver in 2010. Is the EPA Trying to Destroy Rick Perry’s Texas? Earlier this month Rick Perry denied the reality of climate change at a presidential debate. This week Governor “Good-Hair” has continued his crusade of fact fabrication and blamed the loss of 500 Texas jobs on the EPA and its new regulations (called the Cross-State Air Pollution Rule or CSAPR). This accusation came just after TXU/Luminant, the largest power generating company in Texas, announced it would be shutting down two of its coal units. While Luminant is taking a step in the right direction, this unethical tactic of blaming impending EPA regulations for job losses has become old hat for politicians like Perry and large fossil-fuel corporations like Luminant. Accusations like this are nothing new. The fossil-fuel industry shrilly shouted the same kind of job-killing rhetoric over forty years ago when the Clean Air Act was passed. Instead of killing jobs, however, the Clean Air Act created them. Many studies have shown that the economic benefits, including job creation, of making polluters clean up their act far outweigh any negative impacts (such as layoffs at plants). Unfortunately, it looks like President Obama has been drinking the same Industry-financed kool-aid as his main opponent. The President has announced that these crucial smog-reducing rules will be pushed back to 2013 (at the earliest). President Obama should be ashamed of his decision to delay these rules. He has, in effect, sacrificed human lives and the lungs of children because big-energy lobbyists have whined about it. The excessive pollution from Luminant’s three dirtiest coal plants is estimated to cause one premature death every three days. Whether Obama or Perry (as the likely candidate) wins the next presidential election, it looks like neither will stand up to corporate polluters for the sake of American lives. Visit Greenpeace online to sign a petition asking Obama to reverse this decision. The EPA’s purpose is not to coddle fossil-fuel industries, nor to ensure their profit margins stay at ideal levels – it exists to protect human and environmental health. If companies in Texas like Luminant cannot conduct their business responsibly and acknowledge the pollution and harm they cause, then they must be held accountable by the public and our leaders. Texans are paying the price for the cowardice of our politicians and the irresponsibility of these large energy corporations. These Luminant plants are some of the dirtiest coal plants in the country. Why should we have to pay higher medical bills and environmental clean up costs so that companies like Luminant can maximize profits? This report from TR Rose Associates shows in detail how Luminant’s shuttering of these coal plants is most likely due to poor financial management. Considering that these plants are practically worthless for Luminant it makes sense for them to shut them down. This retirement has everything to do with the energy market and Luminant’s mismanagement of their resources and very little to do with any new EPA regulations. Luminant should follow the example of the TVA, who announced back in April the closure of 18 coal plants. TVA further committed to retraining their workers for jobs in energy efficiency and renewable energy – both fields which are likely to employ more people than traditional fossil-fuels. Luminant could easily end this boondoggle and shut down all three of their large, old, dirty plants: Monticello, Martin Lake, and Big Brown. Texas has some of the best solar, wind and geothermal potential in the country. There is no reason, or excuse, for TXU to lay off any workers from any of these old plants, when the company could easily retrain them and invest in geothermal plants throughout that region. If these workers are abandoned it will be Luminant’s fault, not EPA’s. These regulations should be seen as an opportunity for Texas to embrace renewable energy generation and to transition our power generation (and the relative jobs) to new facilities and programs that use this century’s technology, not last century’s. Luminant and Governor Perry should stop scapegoating the EPA and take responsibility for the health of the public and the future of energy generation in Texas. We Texans should do all we can to encourage and promote that kind of action. The Texas Progressive Alliance hopes everyone had a fine Labor Day weekend as we bring you this week’s roundup. Off the Kuff looks at a movement to end pensions for public employees. Amy Price is one of just a few progressives running for Houston City Council in 2011, and PDiddie at Brains and Eggs is helping her campaign. WCNews at Eye On Williamson show that the Texas GOP’s next trick will be to come after pubic employee pension to protect their wealthy campaign contributors, “Wisconsin-style” pension scheme coming to Texas. I guess my favorite Rick Perry getup is “tough cowboy who shoots coyote with laser pistol”. Libby Shaw has some of the others at TexasKaos. Read all about it in her piece: Rick Perry’s Colorful Costumes. This week, McBlogger considers The Audacity of Hopelessness. Neil at Texas Liberal noted the absence of Tea Party sponsored highway rest stops between Cincinnati and Columbus. Government plays a role in our everyday lives that some of us may only consider when they are constant attack. 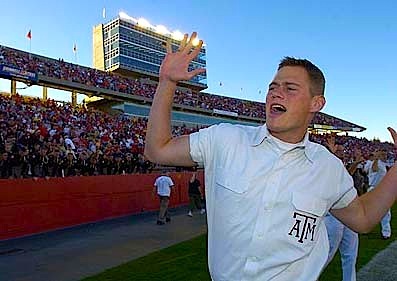 With the beginning of the college football season this weekend, Citizen Andy asks “Why does Rice play Texas?” And how does it relate to the wildfires, Obama’s cave-in on the EPA’s smog rules, the Keystone XL tar sands pipeline protests, Hurricane Irene, and our continued drought and economic malaise, clean air, climate change, and a switch to a clean energy economy? 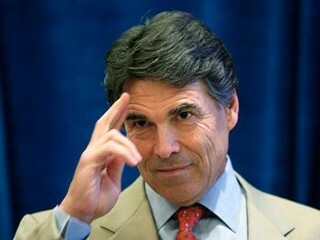 Texas Governor Rick Perry is unknown to much of America. Texans for Public Justice (TPJ) has followed this politician since he became governor in late 2000, publishing numerous reports on Perry’s politics and policies. With talk of a Perry presidential campaign escalating, “The Rick Perry Primer” summarizes the highlights of a decade of TPJ’s Perry-related research. “The Rick Perry Primer” is available at TPJ.ORG. The EPA under Perry . . . what would that look like? I don’t know about you, but that thought sends cold shivers down my spine, even on a 104 degree day. As governor of Texas, Rick Perry has argued that the U.S. Environmental Protection Agency has strangled business and interfered with state environmental efforts, and he has championed a half-dozen lawsuits challenging federal air pollution and greenhouse gas regulations. 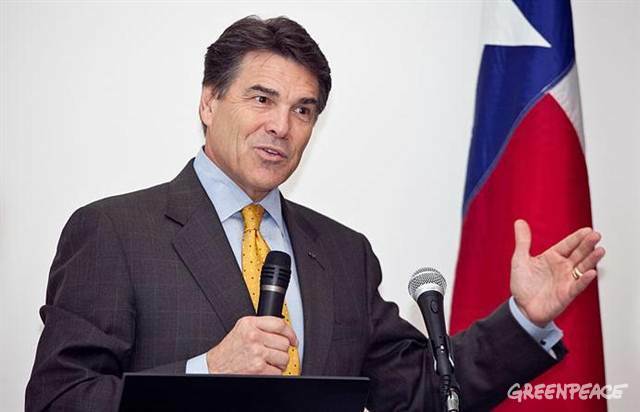 So, should he run for the White House and win, how would a President Perry treat the EPA? But on the campaign trail, he is likely to tell a story about environmental accomplishment. He will point to improvements in air quality in the state’s major cities, and he will note that the state leads the nation in wind power. And he will say that Texas has done it by working with industry, not being its adversary. “If the EPA thinks a sweeping mandate is required to spur the creation and adoption of alternative energy sources, they need to know the private sector is already making that happen here in Texas, helped by incentives from this state,” he said in a news conference after Obama’s victory in 2008 . The state’s wind industry won its greatest boost from a 1999 mandate by the Legislature that Texas utilities buy a certain amount of power from renewable sources as part of a grand bargain to deregulate the state’s electricity market. In other words, wind power got a foothold because of just the sort of big government edict that Perry abhors. To his credit, he encouraged a $5 billion ongoing plan to build transmission lines from West Texas and Panhandle wind farms to the state’s population centers, said Tom “Smitty” Smith, the head of the Austin office of Public Citizen, a government watchdog group. The lines will be paid for by utilities, which will pass costs on to ratepayers. PolitiFact Texas rated that statement as Half True: UT chemical engineering professor David Allen told the Statesman that it’s difficult to say quantitatively whether federal or state regulations were primarily responsible for the emission reductions. A quarter of the state’s nitrogen oxide pollution comes from industrial sources, which are mainly what the state regulates, but much of the rest comes from cars and other mobile sources, which the federal government regulates. One example: In the mid-1990s, Texas opted to issue so-called flexible permits that set facilitywide emission limits. The permits, strongly defended by Perry, set overall emission caps for facilities, rather than particular limits on emissions from a single boiler. According to several measures tracked by the Environmental Defense Fund, Texas is the nation’s leading polluter. Its national rank among emitters of sulfur dioxide, which contributes to acid rain and smog, actually rose during Perry’s tenure from fifth in 2000 to third in 2009. But the state’s pollution might be as much a reflection of the richness of Texas’ industrial base as a comment on environmental compliance. With the governor’s blessing, Texas Attorney General Greg Abbott is challenging at least six EPA greenhouse gas-related regulations. The state’s underlying argument: The fundamental finding that greenhouse gases are a public health threat is scientifically flawed. The federal government is pushing “hastily enacted, cascading regulations” on states and businesses, Abbott argued in a June brief filed on behalf of nine states in federal court. Perry’s approach to energy, DiPeso said, “would be to produce more,” rather than discourage the development of energy projects, such as coal plants, that emit greenhouse gases associated with global warming. “In terms of energy, (Perry) would pursue what many Republicans call the ‘all of the above’ strategy, with more energy development offshore and onshore,” DiPeso said. Individuals and committees associated with energy, the extraction of natural resources and waste disposal contributed just short of $14 million to Perry’s campaigns between Jan. 1, 2001, and Dec. 31, 2010, according to Texans for Public Justice, a nonprofit that tracks money in politics. Overall, donors gave more than $102 million to his campaign during that period. His top individual donor during that time was homebuilder Bob Perry, who contributed $2.5 million and has supported property rights efforts unsympathetic to endangered species protections. Ranking behind him was investor Harold Simmons, who owns Waste Control Specialists. In 2008, over the objections of environmental groups and its own staffers, the state environmental commission approved a license for Waste Control Specialists to build a dump near the New Mexico border for disposal of radioactive waste related to Cold War-era uranium processing. Three agency staffers quit in protest. Broadly speaking, the Texas Commission on Environmental Quality has shown itself to be sympathetic to business interests. In several prominent cases, its commissioners, appointed by Perry, have ignored the recommendation by the agency’s public interest counsel to deny major air and waste disposal permits. In requests for permission to build a coal plant about 100 miles northeast of Austin, to reopen a copper smelter in El Paso and to dispose of various kinds of waste at the West Texas radioactive waste landfill, the commission sided with recommendations by its executive director over those of the public interest counsel. By some empirical measures, its enforcement arm is weak. 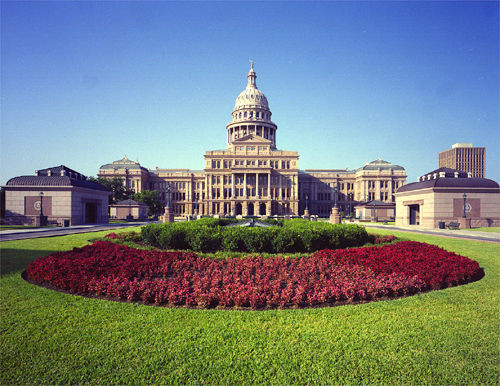 A 2009 Notre Dame Law Review article comparing 15 states found that Texas spent less on environmental programs than all but one on a per capita basis. And in the recent round of budget cuts, the commission suffered disproportionately high cuts of 30.2 percent. Perry himself earned the ire of environmental groups for trying to fast-track the permitting of as many as 17 new coal-fired power plants in 2006. Most were never built. An EPA under a President Perry “would be more effective, accountable, pragmatic and realistic,” said Kathleen Hartnett White , a former environmental commission chairwoman and a Perry appointee to the board of the Lower Colorado River Authority. She also is a fellow at the Texas Public Policy Foundation, a small-government think tank. Under Perry, the commission “operated under the rule of law and has not stretched it or contracted it,” she said. Perry also would have “higher standards for science,” she said, echoing arguments that the attorney general has made in disputing the EPA’s finding that carbon dioxide emissions endanger public health. Despite those claims, there is consensus among scientists that humans contribute to climate change. An international climate change panel of more than 2,000 scientists came to just that conclusion in 2007. The best guide to a Perry EPA might be an early Bush EPA, which was concerned with energy development. Among other things, the Bush administration downplayed and edited work by EPA scientists warning about climate change and sought to loosen rules about putting power plants near national parks. Environmentalists would beg to differ. But a Perry administration could be even worse for environmentalists’ interests, Smith said. He said Perry criticizes EPA initiatives that had roots — if weak ones — in the Bush administration, such as more stringent smog standards, and tougher rules on power plant emissions. Texas Railroad Commissioner Barry Smitherman, appointed to his new post exactly one week ago, received the Conservative Republicans of Texas’ (CRT) first endorsement of the 2012 political season on Friday. Formerly the chairman of the Texas Public Utility Commission (PUC), Smitherman was appointed last Friday to the Railroad Commission by Gov. Rick Perry to fill the vacancy left by Michael Williams, who is running for U.S. Congress. Smitherman spent his last seven years at the PUC, is a former Harris County Assistant District Attorney and also worked in public finance for Bank One, JP Morgan and Lazard Freres. The CRT praised Smitherman, among other things, as a “pro-life” candidate, even though the Railroad Commission regulates the Texas energy industry and has no public policy duties regarding reproductive health, including elective abortions. They went on to tout him as a champion of the free market and a pro-family, pro-business conservative. If this is indeed how it plays out, then it is business as usual at the Railroad Commission and fracking operations will flourish in Texas, regardless of the harm it does to adjacent communities. An unnamed Republican campaign veteran told the Washington Post that Texas Governor Rick Perry has decided to run for President, though the official word from the Perry camp is still a definite maybe, stating that Mr. Perry has surveyed the field and decided to get in the race later this summer. The thinking from republican sources is that apparent front-runner Mitt Romney “does not reflect the Republican Party” and is therefore vulnerable to a credible challenge from the right, especially after Mr. Romney’s recent squishy remarks on global warming. So the Texas governor is running as a climate change denier. In a Stanford University report researches have found that “candidates running for office can gain votes by taking green positions and might lose votes by expressing skepticism about climate change.” A study entitled “The Impact of Candidates’ Statements about Climate Change on Electoral Success in 2010: Experimental Evidences,” reveals that taking a “green” position on global warming attracts votes from Democrats and Independents, while expressing skepticism about the warmist theory alienates those same voters. On the Republican side there was no significant impact either way, so it looks like Perry intends to look to his base.